A majority of leading South Korean institutional investors are planning to boost overseas infrastructure investment next year with focus on developed markets, while maintaining or lowering the proportion of cross-border real estate portfolios, a survey of 23 chief investment officers shows. 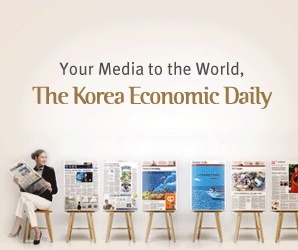 Eighteen respondents to the poll, conducted by the Korea Economic Daily in October 2018, saw an increase in overseas infrastructure investment in 2019 from this year in search of better-yielding and safe-haven assets, as trade disputes between the US and China raise global economic uncertainties and financial market volatility. The other five CIOs expected no change in the proportion of 2019 infrastructure assets. For cross-border property investment, only nine respondents to a separate question expected an increase in 2019, saying that global real estate portfolios have already reached their target proportions, amid caution about elevated valuations. Overall, 80% of the 23 CIOs plan to ramp up global alternative investments in 2019, shying away from volatile stock and fixed-income markets and expensive domestic alternative assets. “Compared with the domestic market, there are plenty of investment opportunities for prime assets abroad and competition is not as fierce as in the domestic market,” said Korean Teachers’ Credit Union in a written answer to the questionnaire. The poll was undertaken ahead of the ASK 2018 Global Real Estate & Infrastructure Summit held in Seoul on Oct. 23, 2018. By asset type, social overhead capital projects such as roads, airports and harbors (82.6%) were picked as their most favorite in a two-choice question for infrastructure, followed by new and renewable energy projects (34.8%) and hospitals, correction facilities and nursing homes (21.7%). By region, Europe (73.9%) came first, tracked by the US (69.6%), Australia (13.0%) and Canada (4.3%). “By and large, the US and Europe relatively have higher-level maturity of regulations and market for infrastructure assets,” Yellow Umbrella Mutual Aid Fund said. By tranche, equity (52.2%) was the most preferred type, followed by senior loans (43.5%), mezzanine (34.8%) and subordinated notes (26.1%) in a two-choice question. Teachers’ Pension, Korea Post and Samsung Fire & Marine Insurance Co. Ltd. will seek both profitability and stability by appropriately adjusting the proportions of equity and mezzanine tranches. Those saying no change (43.5%) or decrease (17.4%) in 2019 overseas real estate outweighed the number of respondents for an increase (39.1%). “Higher property prices and rising rents increase the vacancy risk. Hence, expected yields from real estate investments are being lowered. We are planning to decrease the proportion,” according to Shinhan Life Insurance Co. Ltd.
By contrast, the Korean Teachers’ Credit Union (KTCU) expects that gateway and second-tier cities in the US and other developed countries will continue to benefit from economic expansion and create investment opportunities. “We will invest selectively in high-growth regions and sectors, in cooperation with credible partners (local managers and developers),” KTCU added. Storage facilities (78.3%) were the most preferred asset type, followed by office buildings (43.5%) and housing properties (34.8%). As for a favorite region for real estate investment, Europe (82.6%) beat the US (52.2%). Australia and Japan were picked by two and one respondents, respectively. “Real estates in Europe are attractive in terms of price, because they have not risen as sharply as in the US,” said Korea Post. “When investing in European real estate, we can earn currency hedging premiums,” said Local Finance Association. By tranche, equity (39.1%) came ahead of subordinated loans (34.8%), mezzanine (34.8%) and senior loans (30.4%). Most of pension and retirement funds saw a mix of equities and mezzanine tranches in real estate portfolios to pursue both profitability and stability. By contrast, insurance companies indicated a shift towards senior loans away from equities because of price concerns. Most of the CIOs participating in the survey expected the US economy to slow down from next year and saw a flattening US yield curve. Almost all the respondents (95.7%) predicted the 10-year US treasury yield to come to 3~4% by the end of the first half of 2019. None of them expected a rise in the yield to above 4% in the same period of time. Despite the widely-expected base rate hikes by the US Federal Reserve next year, US-China trade conflicts are likely to slow the US economic expansion, limiting yield increases in long-term bonds, according to their comments. The CIOs were wary of the possible impact of the US-China trade disputes on the global economy. On the question about what would be the trigger of a global economic crisis in 2019, a majority of them (65.2%) picked the US-China trade disputes, before rapid US rate increases (47.8%) and a bubble burst after a decade of quantitative easing (30.4%).